The official Monster Hunter movie release date has been confirmed by Sony Pictures. However, those interested in seeing how the film adaptation of Capcom’s beloved franchise turns out have a fairly long wait ahead of them. 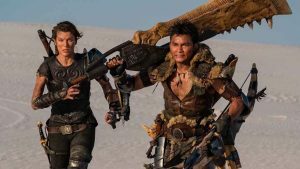 Production on the previously announced Monster Hunter Movie has begun. Unfortunately, it still doesn’t sound anything like the original games.